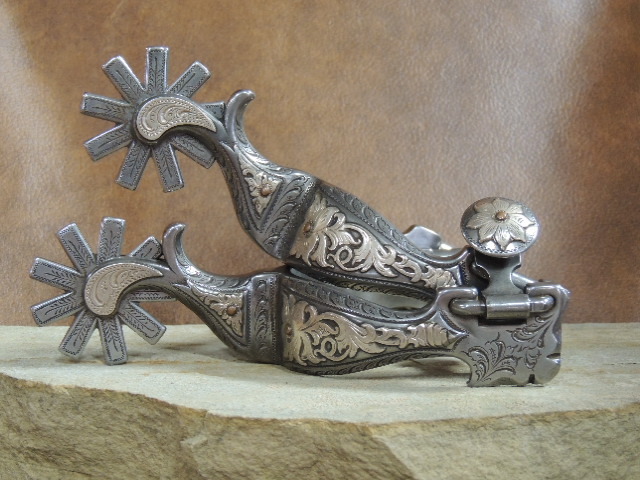 Beautiful Large Spur with 2" rowels and silver on inner and outer shank. Definitely one of a kind! !